Automotive bodies-in-white and related structures grow more complex both because of new emissions standards but also new crash testing requirements. The latter can generate more rapid adjustments to automotive engineering, and as such demonstrate why a collision repairer must look up OEM repair procedures online as though it were the first time, on every repair. However, a good indicator of a change in body structure — and perhaps an accompanying change in OEM procedures — can be the performance of a specific vehicle on its last IIHS crash test, or the introduction of a new test for the entire industry. One excellent example of the former is the 2017 Lexus IS. 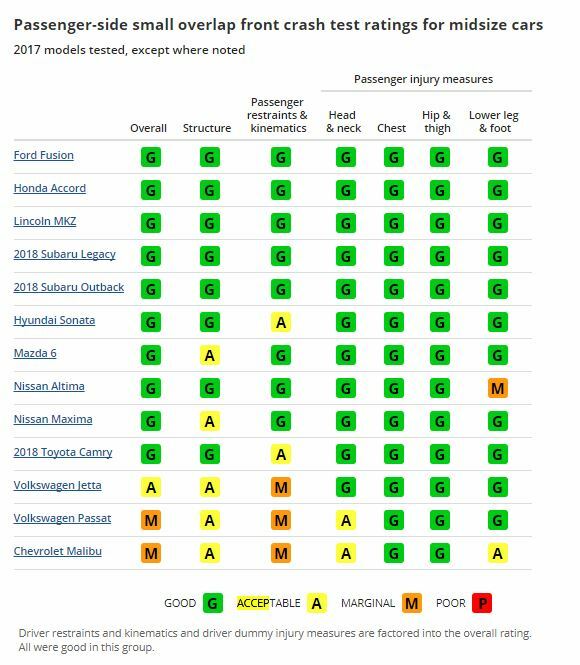 Any 2017 IS built before July 2017 only scores an “acceptable” overall on the small-overlap crash test, including a “poor” rating for shin and foot protection. The car doesn’t earn any “Top Safety Pick” accolades. According to the IIHS, it’s the second major structural change for what might at first glance have seemed like the same car since the current-generation IS appeared in 2014. The latest revision includes a change to the backing material in the footwell and a revamp of the front-end structure, the safety organization wrote. “At the beginning of the 2017 model year, the car’s front-end structure was reinforced and the driver door, lower door-hinge pillar and door sill were modified to improve small overlap protection,” the IIHS explained in a news release last week honoring the IS’ top prize. “Those changes were not enough to guarantee a good rating in the small overlap test, which replicates what happens when only the front driver-side corner of a vehicle collides with another vehicle or hits a fixed object such as a tree or utility pole. 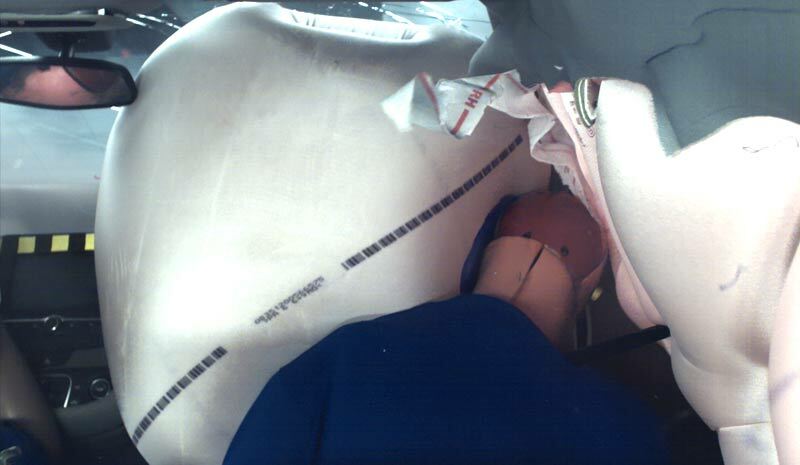 In the test of an early 2017 model, intrusion reached 7 inches at the footrest, and measures taken from the dummy showed that injuries to the left lower leg would be likely in a real-world crash of the same severity. We don’t know if the repair procedures changed at all, but you can see our point anyway. It does seem as though a shop might be ordering a different part at least; the seatbacks have been made safer in all IS models made starting in July, according to the IIHS. “The vehicle’s front seatback was also changed in order to improve protection against whiplash in rear crashes, as measured by the Institute’s test of head restraint and seat combinations,” the IIHS wrote. Broader changes could be coming for multiple OEMs, however, based on the results of the IIHS’ latest round of passenger-side small-overlap crash testing. 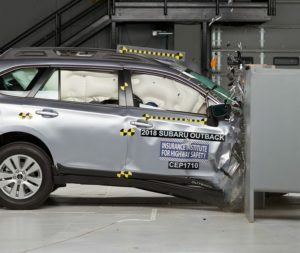 The IIHS in 2016 decided to run the passenger side of small SUVs through the same small-overlap crash test it’s tracked on the driver’s side since 2012. The test bangs a quarter of the vehicle’s front into a barrier at 40 mph, simulating a front edge of the car striking a pole or tree. The results proved an embarrassment for Nissan, Subaru and Toyota, who all earned “marginal” or “poor” ratings for the passenger side despite “good” results on the driver’s side. IIHS communications Senior Vice President Russ Rader said Friday the organization hasn’t decided if it will in 2019 incorporate the passenger-side test into the base Top Safety Pick score or if it will demand solely “good” scores on the test to achieve Top Safety Pick+. More should be known in early 2018, as the IIHS likes to give OEMs about a year’s heads-up about impending changes. Either way, the existence of the testing might send several OEMs scrambling to redo their passenger-side structures the way they did with the driver’s side. The latter testing began in 2012 and formally took effect in 2013. Of course, the IIHS on Friday reported that the 13 cars it tested were at least structurally equipped to pass the test — none earned less than an “acceptable” — but a couple needed work on passenger-side airbags. 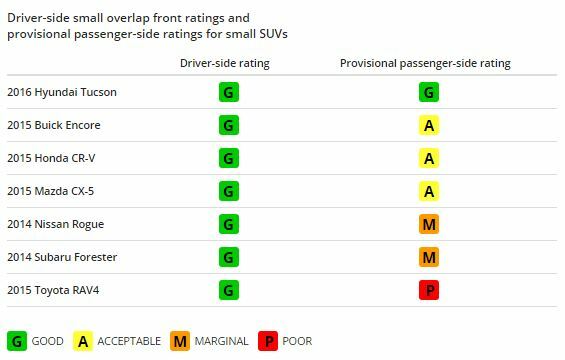 Ten earned a “good” overall, one was “acceptable,” and two were “marginal.” So not all vehicles will have to make changes. The 2017 Chevrolet Malibu and 2017 Volkswagen Passat, which earned the “marginals,” both didn’t take good enough care of a passenger’s head, according to the IIHS.